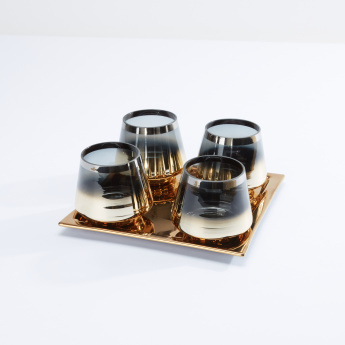 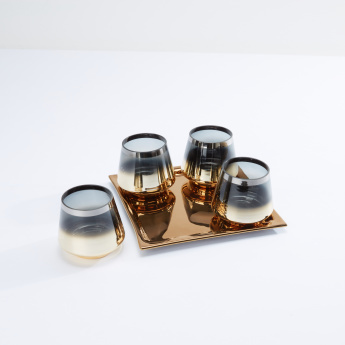 Complete the appeal of your contemporary tabletop by getting this elegant set of candle holders and plate. 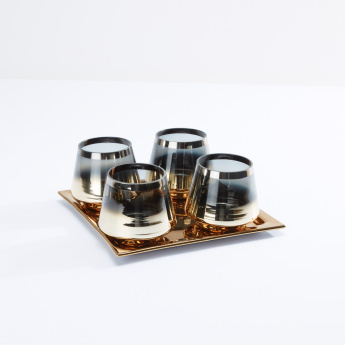 The dual tone of these uniquely shaped candle holders complements the metallic plate effortlessly. Boasting a unique shape, this set is the best pick to place your candles within.